Shippypro allowed you to import your orders from your marketplaces. There are no limit about the linkable marketplace. 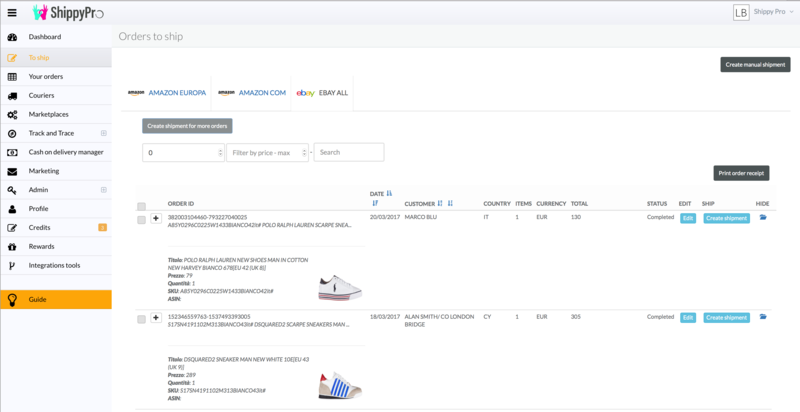 With our amazing platform, the seller can see all his orders from different marketplaces in one page inside shippypro. The seller can also connect more account from the same marketplace. ShippyPro allows you to integrate up to 40 couriers (such as UPS, FEDEX, DHL, PARCELFORCE, YODEL, USPS, TNT, ASENDIA, etc.) and other that you can find at the integration page. Orders are imported every 5 minutes or instant for the newest marketplaces. If an order is shipped without using shippypro, this order is cancelled automatically from shippypro, because shippypro and the other platform are synchronized. When you connect your couriers with your login and password, Shippypro will automatically recover the personal price list that the seller has agreed with the carrier. Whenever you ship an order, the system will compare the prices of all your couriers. 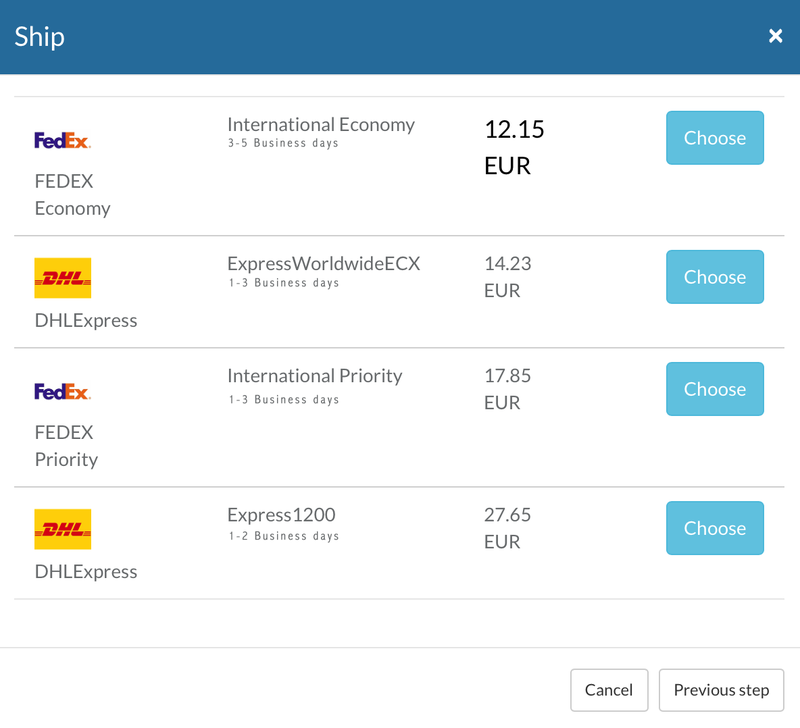 Once you choose the courier for the shipment, Shippypro will automatically compare the prices of your couriers and will show you the most convenient and suitable options for that specific shipment. From your shippypro’s panel, inside the section “marketplace settings” you can choose whether to update automatically the marketplace from which the shipment was generated, or choose for a manual update. In both cases, each orders receives a tracking number automatically by the shippypro operations. When you update your marketplace or your website shippypro sends automatically the following info: status (shipped), tracking number and carrier used for the shipment. No download needed, you just need to login with your account from any device. Smart dashboard with full control of any shipment's movement worldwide. Customize the tracking page with your logo and special offers for your clients. Automatic report with paid and unpaid COD. Print your labels in A4-A6-ZPL format. With one click create manifest with all the details of all the included shipments. With one click you can create custom invoice with the details of your customer. Integrate shippypro with your personal management system or invoice software. Check your return and exchanges and generate return label.